Expects Top Notch service and the freshest ingredients at all eateries, or will ask for his money back. If you’re on The Great Ocean Road and you say ‘chips and gravy’ your cool beach mates will undoubtedly respond with one word, ‘Jums?’. If you’re slightly antiquated like myself and not familiar with this term then I encourage you to read on. At number 77 The Great Ocean Road, Anglesea, exists Victoria’s most beloved BBQ chicken shop. Jum’s BBQ Chickens or ‘Jums’ have been pouring gravy over fries for decades, and people are prepared to queue up on hot summer days and public holidays as the small canteen style shop gets busted by hungry beach folk. However, it is not the regular chicken shop fries that are bringing all the customers to the yard, a special gravy made from an unpublished recipe ushers in the crowds and keeps them returning. Don’t ask me what the bbq chicken tastes like as I don’t eat the stuff, but I can say the chips are divine after a lengthy day swimming AKA being dunked by mediocre waves and losing your contacts at the Torquay back beach. 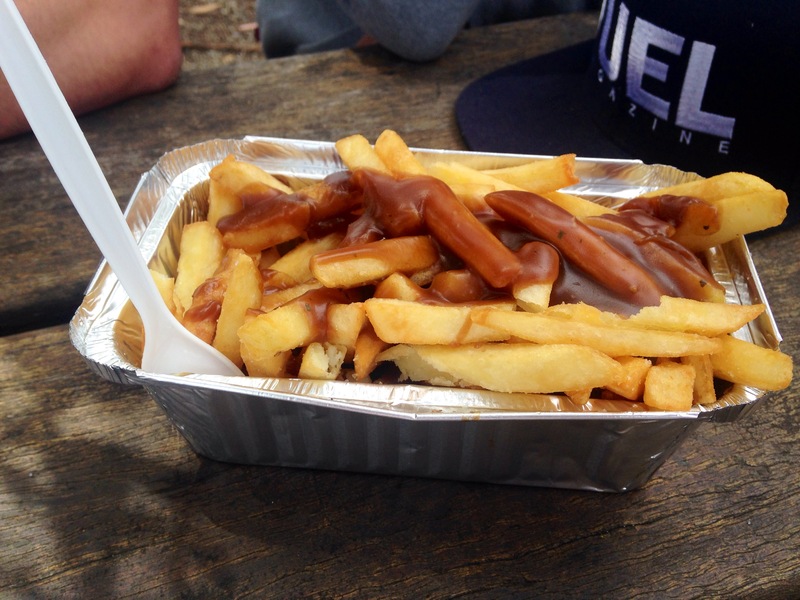 Forget about soggy paper and oily cardboard, Jum’s chips & gravy are served in handy aluminium containers so you can walk and eat with your mates or just your iPhone. Just make sure don’t drop your iPhone, because if it falls on a specific angle I heard it can crack the screen and you will not only look like a bogan, but you won’t be able to read my next post.